Making a statement is important and I will use this in our promotion this year. “Training and Coaching Professional WOMEN, Non Stop to the TOP! We lost ground in 2011 and women are still not paid the same wage as men holding the same position. 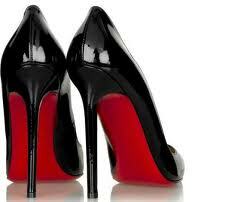 What a Platform…..RED SHOE SOLE….from the bottom to the TOP!